3D printing has changed how products are prototyped. With Gantri, it’s changing how products are made. The unique Gantri 3D printing process combines the simplicity and flexibility of desktop 3D printing with the quality and craftsmanship of industrial manufacturing. It allows designers worldwide to easily bring quality products to market at a fraction of the time and cost. Gantri aims to break down the barriers in traditional ways of manufacturing and selling. Simplicity and efficiency are key in their designer approach. By promoting inspired design rather than a specific aesthetic, design becomes relevant to everydays life. Working with the best material innovators from around the world, we offer corn-based materials that are environmentally friendly, purposeful and durable. 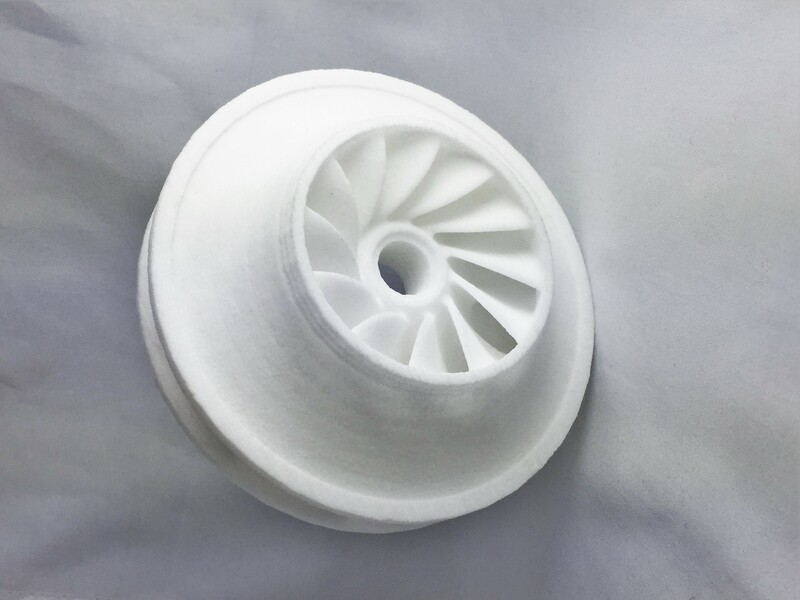 The in-depth knowledge of 3D printing allows designers to create optimized 3D models and achieve higher quality prints straight off the printers. Every part is hand-finished and foreseen with a protective coating to achieve a perfect finish that feels comparable to traditional luxury products. Gantri welcomes talented designers regardless of location or academic degree. Any independent designer around the globe can become a member of the Gantri Community to create his own products and brand. Please refer to the Gantri shop to source your own table lights, created by independent designers worldwide. All products are made in California. 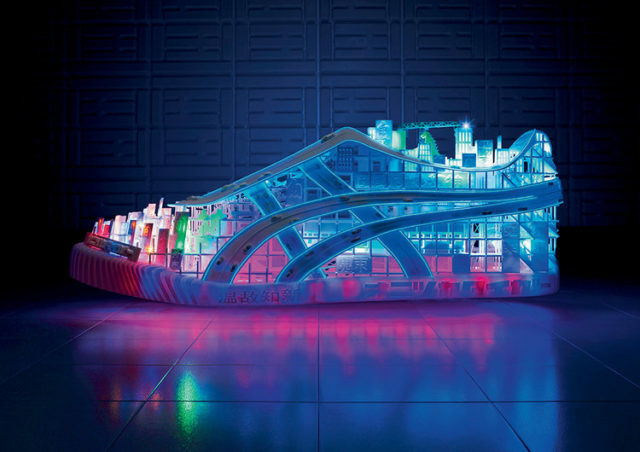 The Electric Light Shoe is a 70 centimeters tall sculpture containing a dream-like universe. The artwork features a kaleidoscope of Japanese cultural icons and was designed and fabricated back in 2008 already by designer and artist Janne Kyttanen. 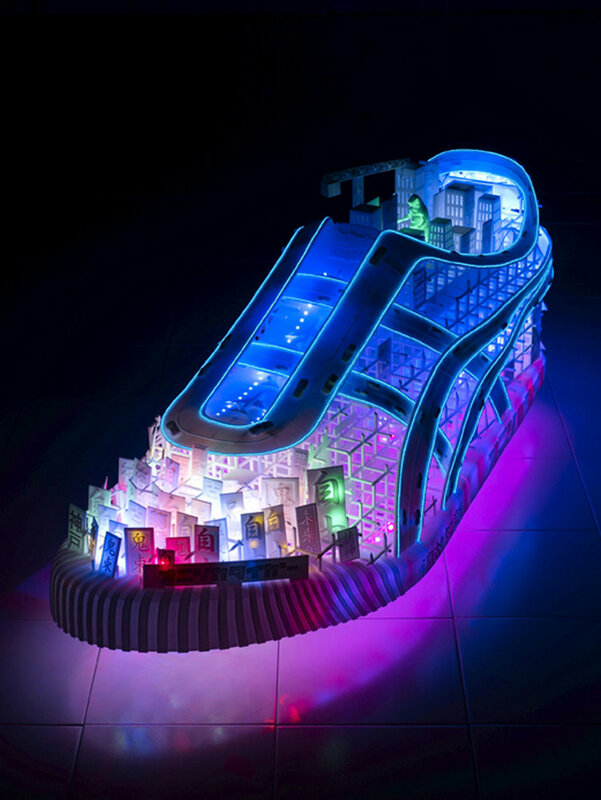 The illuminated shoe was created as the centrepiece of the award winning Onitsuka Tiger global Electric Tiger Land campaign. 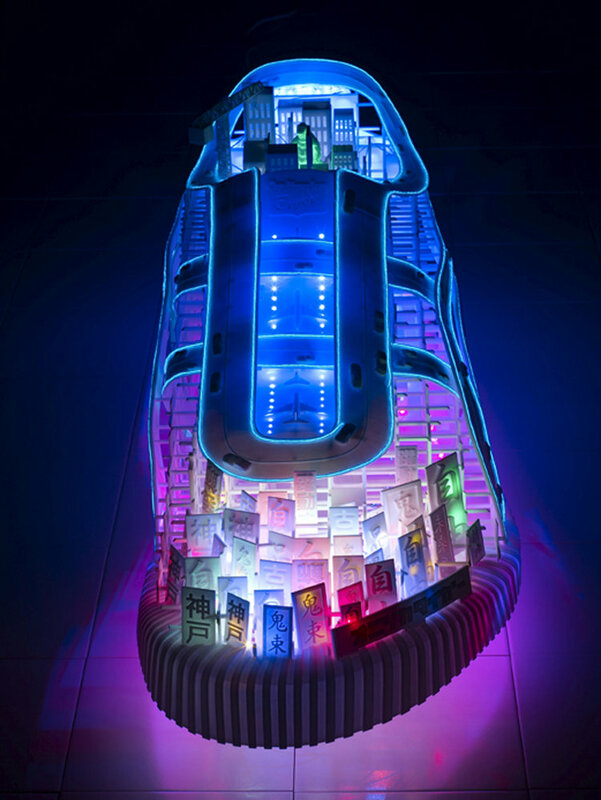 The super detailed structure is laced with an LED lighting system that glows and pulses, bringing the sculpture to life. There are only one eight sculptures available in this super limited edition collection, plus two artist proofs. The characteristic Onitsuka Tiger stripes represents a system of highways and streets. Illuminated signs crowd the front of the shoe and a monster-like figure looms over buildings at the shoe’s opening. 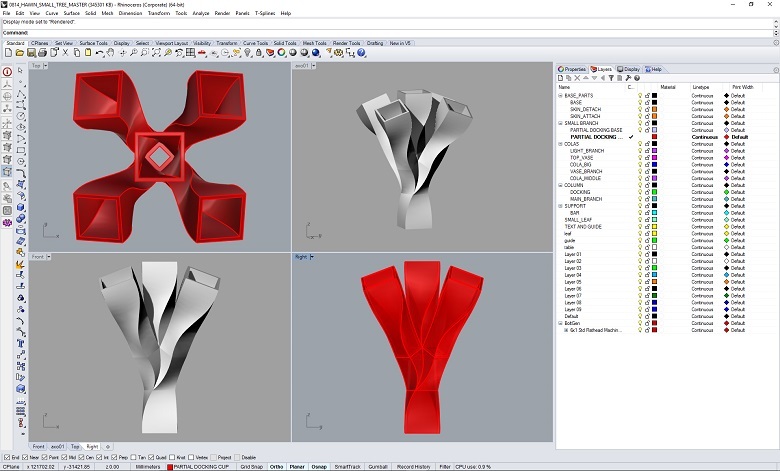 The fine details were achieved with rapid prototyping, the process that enables a digital CAD file to be transformed quickly into a solid object, mostly by means of additive manufacturing technologies. Janne Kyttanen is a pioneering digital sculptor creating multidisciplinary work at the intersection of 3D printing, virtual reality and augmented reality. His work has been featured in TIME Magazine’s ‘Design 100’, the people and ideas behind the world’s most influential design. 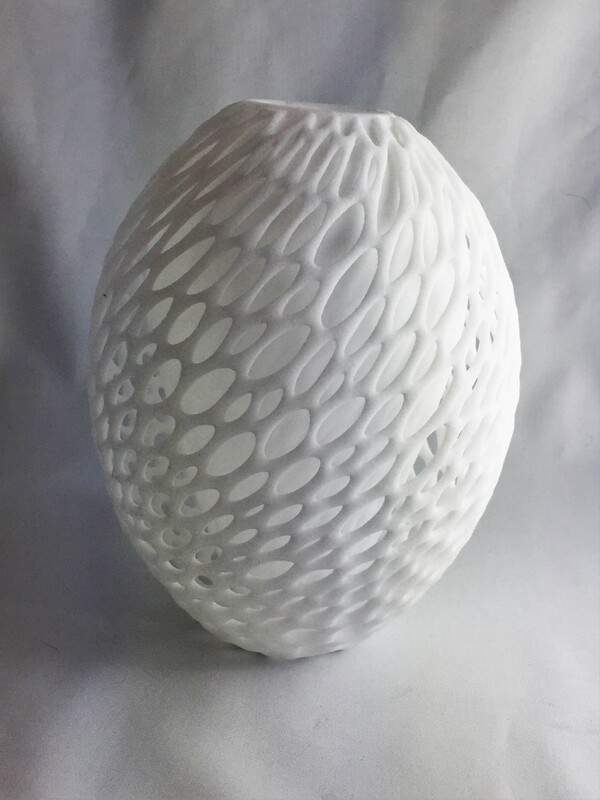 Kyttanen is best known for his revolutionary work with 3D printing and is considered to be one of the most influential designers of his generation. More availability and purchase info is available on the designers’ website. In Switzerland 20% of the population suffers from hay fever between January and August. Hay fever is caused by pollen like grass, ash, birch, sunflower, ragweed, and dandelions. A density of many thousands pollen per cubic meter can be measured on some days. During these peak periods, not only allergy sufferers are affected but also people usually not allergic to pollen. During pollen season, allergy sufferers usually try to avoid the outdoors and getting close to trees and flowering plants. The truth is, pollen is carried even inside our homes. They get inside while airing the room or are simply carried inside on one’s clothes or hair. The ZHDK design project aims on raising awareness on these issues by making pollen visible for the first time: the pollen lamps. The lamps are composed of three main parts: The lamp shade, the lamp cord and the cover lid. 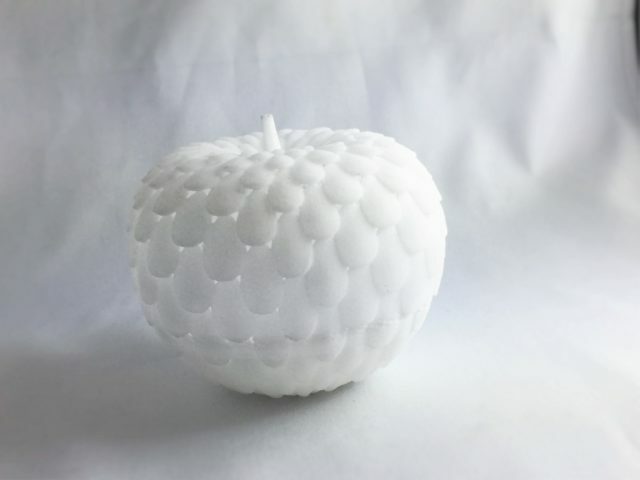 The lamp shade and the cover lid are 3D printed with white nylon powder. It gives the lamp a course, sandlike texture. LED Bulbs are used to give the lamps different colours. 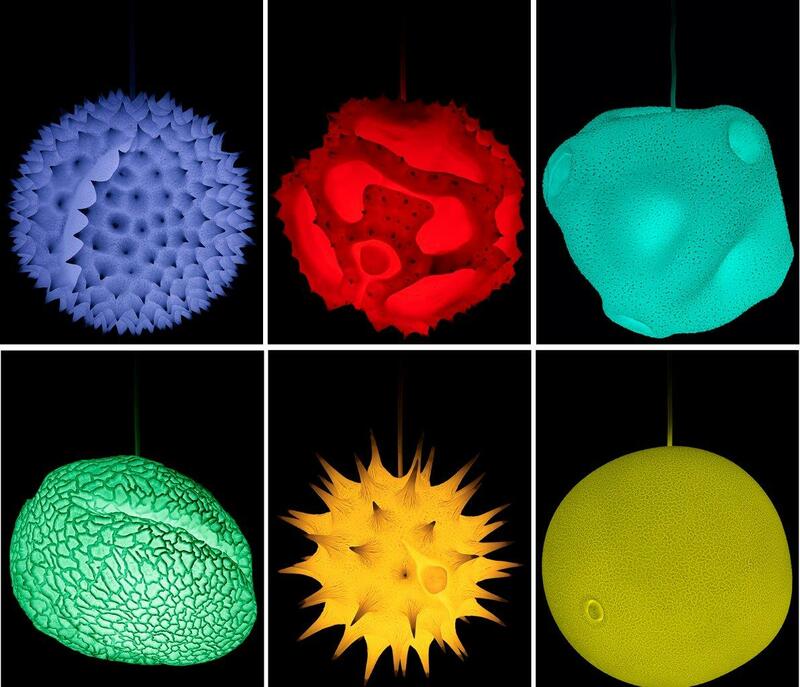 The pollen lamps were developed in collaboration with the designers Roman Jurt and Michael Kennedy from the Zurich University of the Arts. Metal 3D printers have been around for decades, however they have always been limited in terms of materials, fabrication speed and user-friendliness. 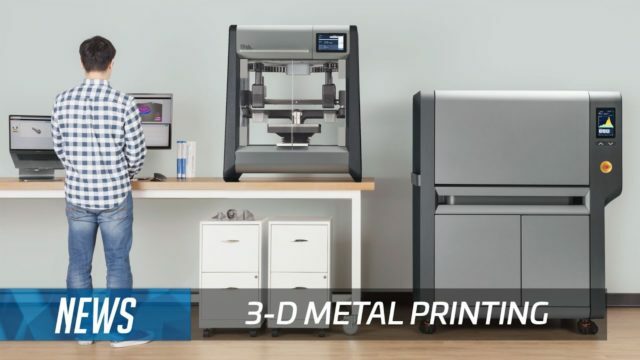 Desktop Metal, a mere two-year-old startup, unveiled recently two new 3D metal printing machines, one of which can create prototypes and the other production parts faster and cheaper than existing technologies. The novel metal printing technology is called “microwave enhanced sintering” by Desktop Metal. The printers put down layers of metal and ceramic powders, mixed in a soft polymer. The cartridges and alloys that work with the printers are made by Desktop Metal and other major providers in additive manufacturing. Once the parts are printed, they go into a furnace where they are rapidly ‘cooked’: The heat simply burns away the polymer. The metal is fused together but at a temperature that won’t make it melt and lose its shape. Wherever ceramic was laid down in a printed design, metal remains separated and doesn’t fuse. The created pieces can finally be separated by hand. The Desktop Metal 3D Printing System for Office Environments. Designed as an end-to-end solution, the Desktop Metal Studio System is the only way to print complex metal parts in-house. The system comes with purchase and subscription pricing options, and it is by far the only metal 3D printing system that is cost-effective for engineering teams. The Metal Desktop Production system. Next to the DM Studio System, the Desktop Metal Production system delivers the speed, quality, and cost-per-part needed to compete with traditional manufacturing processes. Arriving in 2018, this breakthrough Single Pass Jetting (SPJ) process delivers speeds up to 8200 cm3/hr. It is 100x faster than laser-based systems. With zero-tooling needed, it’s the fastest way to manufacture complex metal parts. The system runs low-cost with MIM powder, comes with a high throughput, and simple post-processing deliver per-part costs that are competitive with traditional manufacturing processes. A breaktrough in the world of 3D Printing Metal, which will offer great next advantages for the lighting industry. We keep following this young start-up with great interest! Pictures in this post are property of Desktop Metal. The video was sourced from the TechCrunch Video Channel. Designer David Münscher has created two lampion shaped lampshades, that use principles of curved paper folding to create a thin, but rigid light object. 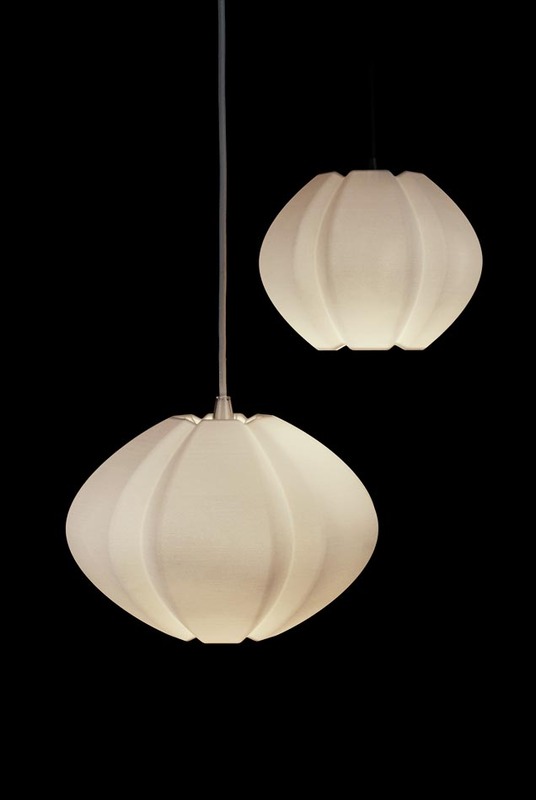 The ION 3D printed Lampshades are a great fit for any interior design! 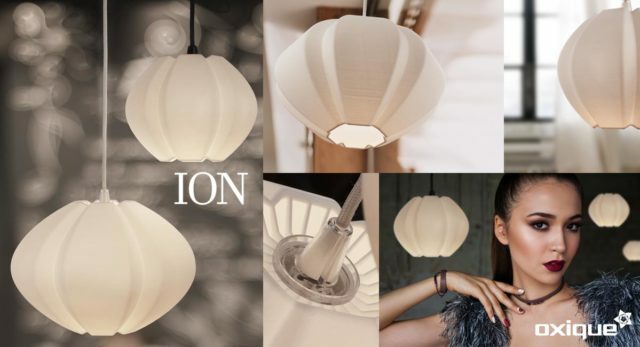 ION 3D Printed Lampshades – A great fit to any interior! Due to the layer structure of the 3D printing process the resulting shade has a paper like structure, that reveals itself fully when lit. 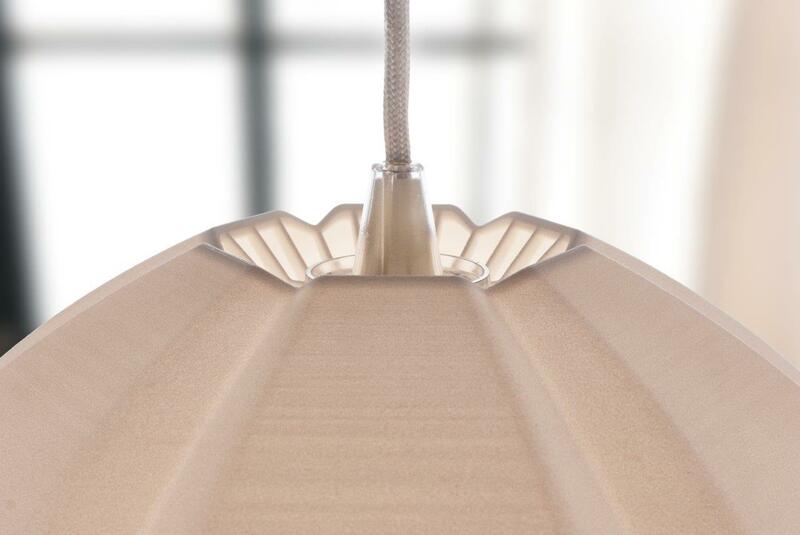 The lampshade design draws its inspiration from a classic lampion shape, hence the name – ION. When lit the horizontal lines softly shine through and evoke the feeling of a fabric lampshade. a focused spot of light underneath. 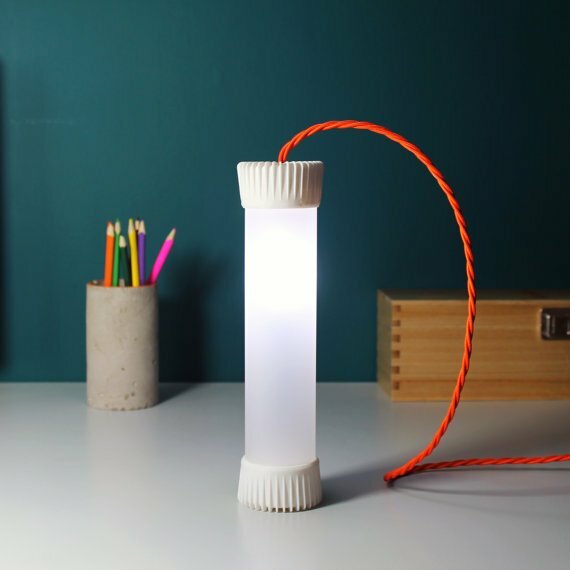 ION lampshade was made from fine 3D printed Polyamide. 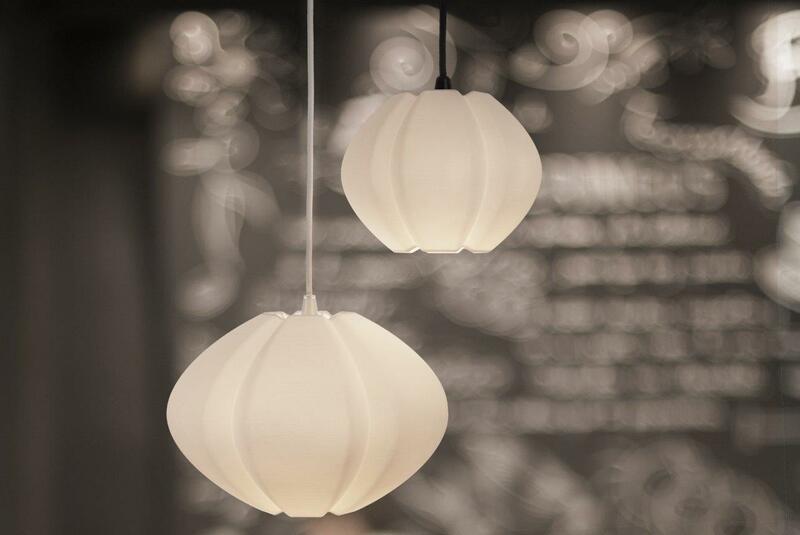 The pendant light is 3D printed on demand in a thin nylon 3D printing material. The fine layers of the printing process produce a matt finished, paper like structure. Both, ION and the smaller ION S lampshades are now available via oxique.com. Pictures in this post are courtesy of David Münscher. U RoK Design, a family-owned design-maker studio, is based in Stourbridge, UK. The practice was founded in September 2014 by the Latvian designer-maker Roberts Kulins. The author of ‘idea and concept’ is passionate about creating unusual design objects and finding new ways that make the world and living space around us more pleasant. 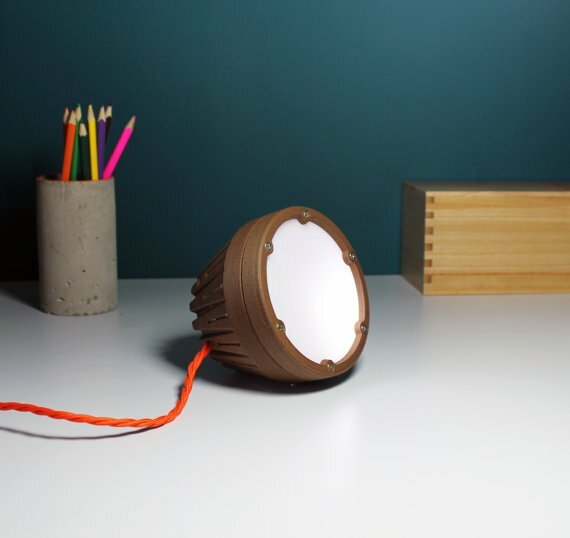 U Rok Studio – Wooden 3D printed Light with diffusive lens cover. Natural and sustainable materials feature, along with nature primordialism, Nordic asperity, creative and ascetic style all at the same time – it are the influences of the designer’s place of birth. 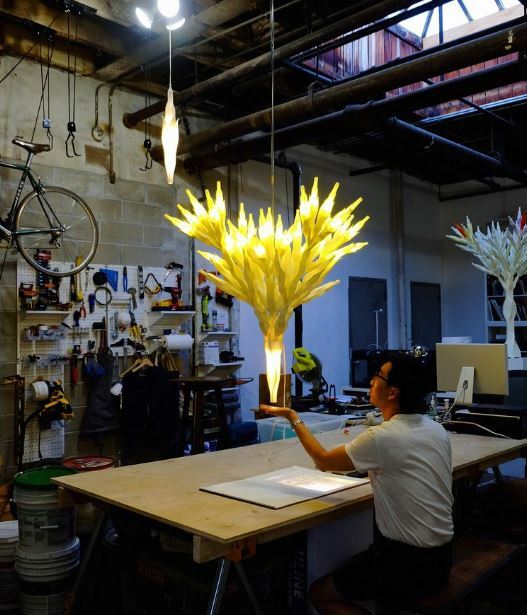 The lighting products in this post are made by using cutting edge 3D printing technologies. 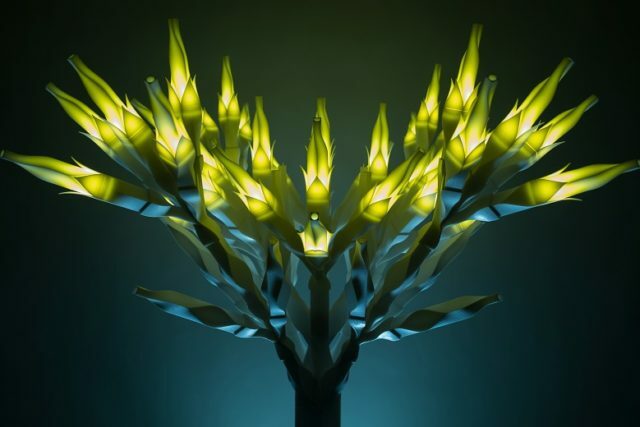 U RoK Design offers a wide variety of 3D printed lighting products. The collection varies from classic wooden suspension lamps to raw steel industrial style luminaries. The lamps fit equally well in the modern urban home as well as in a country cottage. The aim of U RoK Design is to create products that are pleasant in experience, suitable for every application, reasonable in price and an accessible for everyone. U RoK Design provides tailored design products and services, and is always happy to work with customers that have special requests. Match products to specific customer desires and needs is their ultimate work. All Kulins‘ products are handmade in the UK and as unique as your fingerprint! 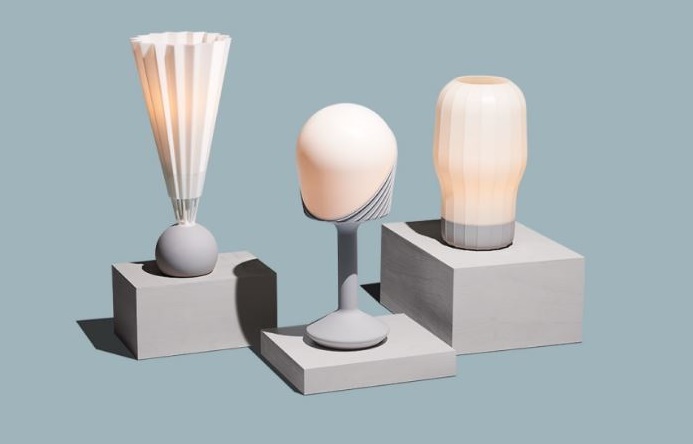 Philips Lighting 3D Printing Research: Can novel AM Technologies boost a Declining Lamp Business? 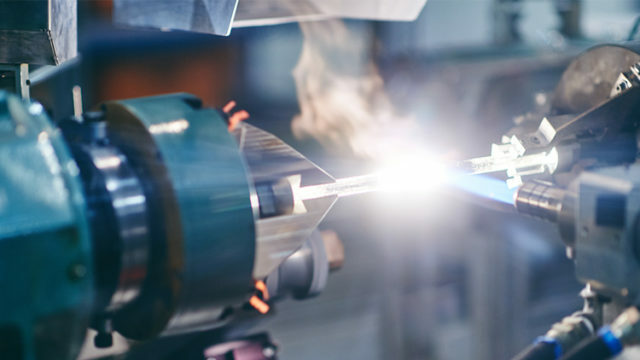 Recently, Price Waterhouse Coopers (PwC) Belgium investigated the value of additive manufacturing for Philips Lighting’s. The deep-going and multi-disciplinary Philips Lighting 3D Printing Research on the spare part supply chain, is an excellent example how additive manufacturing technologies could renew a traditional business. Therefore, we happily republish a part of the article as published by PwC, for your inspiration! The fabrication of high-intensity discharge (HID) lamps is an activity within the lighting industry that declines by up to 20% per year. 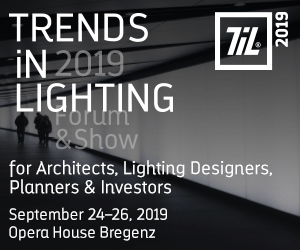 Thanks to the coming of more sustainable and even more powerful LED light sources, conventional lamps – especially those consuming a lot of energy and heat – face a huge backdrop in sales volumes. End users change ‘en-masse’ from energy consuming items to energy savers, a logical and ecology-friendly choice. It places Philips Lighting in Turnhout in front of serious challenges in how to turn it’s conventional HID business into a healthy one. The maintenance budget on its turn, mirrors the global drop in sales volumes. As a result, the business needs to get creative in finding ways to increase efficiency and decrease costs if it’s to not just maintain, but increase its share of the sector, and that’s where novel 3D printing technologies comes in. Philips Lighting 3D Printing Research – Can Additive Manufacturing boost traditional businesses? Philips Lighting has a huge portfolio of over 46,000 stock keeping units (SKUs) that are required to keep the site in Turnhout operational. That ties up a massive 5% of the firm’s annual revenue in spare part inventory alone. Next to that, the site’s annual maintenance and repair budget is estimated at 3%. Not only is the massive stock costly keep and manage, it also creates complexity. And when machines are upgraded or changed, some parts become obsolete and can no longer be used, so are simply wasted. 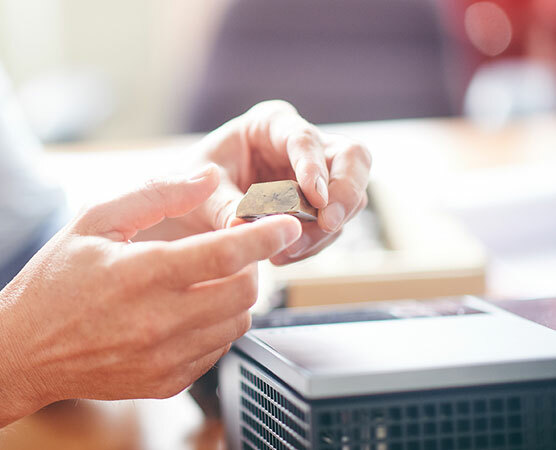 To help find a solution – and free up financial resources to use elsewhere in the business, Philips Lighting asked PwC to investigate the business potential for 3D printing in its overall spare part supply chain. Based upon this approach, it became very clear that 3D printing could indeed provide significant opportunities for optimising the spare part supply chain. 3D printing allows to create shapes that aren’t possible with traditional fabrication. It specifically means that functionality of products can be enhanced and the lifetime of a unit can be increased siginificantly. Moreover, it is now possible to create units by using less material, and have less waste at the same time, thus saving cost. 3D printing allows the creation of shapes that can’t be fabrication with traditional production methods. Additionally, units can now be made out of different metals or materials in order to increase the durability. It also contributes to reduce repair time for machines, as parts now get available on site in a minimum timeframe. 3D printing technology also enables rapid prototyping and more fast and flexible design iterations, helping shorten the product development cycle, all resulting in an improved design. With 3D printing, it’s also easier to involve internal and external stakeholders in the process. The ability to print a unit on demand as when required means there no longer needs to be a physical stock (the stock is digital, in fact), and no upfront investments are needed. This helps to reduce working capital, reduce the risk of obsolescence and easy iterations can be implemented when the design parts need to be changed, even during the product development cycle. The short lead times of units is a significant benefit, and with that the need for transport of finished goods is cut away. One of the major advantages of 3D printing is that complex assemblies can be printed in one single process, eliminating points of failure where there were previously joins, again reducing repair time and costs. Complexity is free! The multi-disciplinary aproach of the conducted research ensures a company-wide support of the 3D printing movement. By applying the knowledge of the 3D printing business, as well as bringing the right market players together in this research, PwC proved its added value and expertise in the field of 3D printing technology. Amongst them providers of 3D Printing software, 3D printing services and a specialist in 3D printing materials, such as metals that enriched and facilitated the implementation of the research. With such an immense amount of data to analyse, PwC called in their data analytics experts to help, which made the process very efficient and was much appreciated by the client. The above criteria brought the viable number of units to 9% of the product portfolio, which make up 18% of the inventory value. From these, five spare parts were selected to trial, each with different supply chain drivers. For each of those units, the annual operational costs were mapped, the part redesigned (where deemed necessary), 3D printed and tested. Finally, the business case calculated. Putting Ideas in Practice – The 3D Printing Research continues! The business case for the five 3D printed parts represented an expected 30% reduction in OPEX costs and saw an increase in the lifetime of the units and an improved quality process. 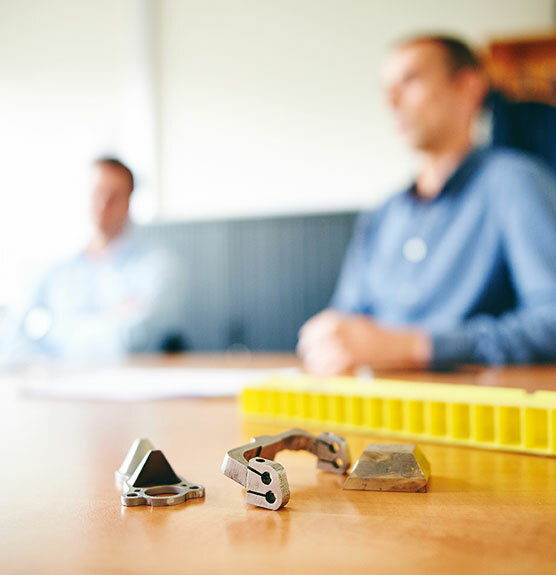 As such, it’s shown that 3D printing offers significant potential to improve the spare part supply chain at Philips Lighting in Turnhout, from both technical and supply chain perspectives. However, given the specific nature of the project and parts in question, the results cannot be extrapolated to the rest of the inventory, each part needs to be investigated separately. The further development of 3D printing capabilities at Philips Lighting in Turnhout is still under investigation with technicians already looking for new units that may be positively impacted by the technology. The aim is to continue to build up a library of viable examples where 3D printing can positively influence the business and save much-needed costs, helping to further increase the buy-in of stakeholders. The dialogue continues: more stock items will be converted from traditional fabrication methods into using 3D printing technologies. Despite the impressive results of the Philips Lighting 3D Printing Research, there are still obstacles to overcome before 3D printing can be further implemented. It takes a lot of time to finalise a full spare part case due to the amount of time required for iterations, testing and capability building. However, the actual project was successful in demonstrating that 3D printing can transform the supply chain for spare parts over the longer term. Project learnings are also being shared with other Philips Lighting facilities around the world to see if it’s viable to embed 3D printing into the company’s overall parts management approach. 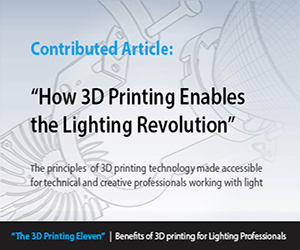 Finally, we recommend you reading also The 3D Printing Eleven: a comprehensive range of articles covering the unique benefits of 3D printing for the lighting industry. The Philips Lighting 3D printing research is a perfect example of how lighting companies can optimally benefit from this new way of making. A better understanding of the 3D printing movement will certainly contribute in removing the ‘fear’ factor of the unknown for engineers working with 3D printing in your own company. 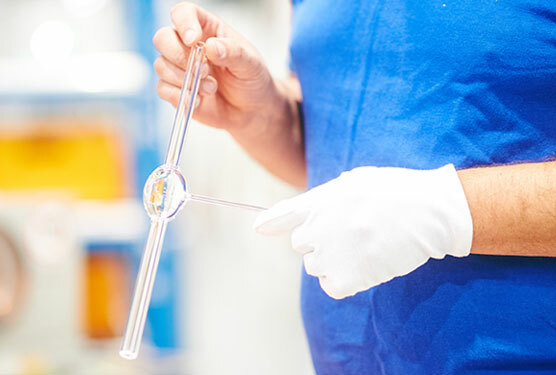 The reorganisation of Philips Lighting Belgium into a more efficient and future-oriented organisation also comes with the birth of new initiatives on the site, such as the inspiring Open Manufacturing Campus. High Tech Start-Ups, such as Luxexcel, find their way to the inspiring and well-facilitated industrial environment! This article about the Philips Lighting 3D Printing Research was inspired by the official PWC publication, pictures in this post are courtesy of Philips Lighting / PWC and 3DPrinting.Lighting. Additive elements GmbH has presented development results at FormNext 2016. The new process enables the production of dense plastic parts using AE12 Binder Jetting 3D printers. Currently, Binder Jetting lets you build only porous parts in gypsum or molding forms in sand. The process either needs a post building treatment, like the infiltration with epoxy, or is meant to create parts that are easy to destroy after casting procedures. This is where the new material system AE12 gets relevant. It enables the extremely economical production of functional plastic parts. Finally it will be possible to use the Binder Jetting technology for direct additive manufacturing of high quality parts. “The biggest challenge was to reduce the porosity of the built parts to a minimum.” says development manager Johannes Günther. 3D shape ‘Francis’ printed with AE12 Binder Jetting technologie. The material system is based on PMMA, also known as acrylics. The binder is mixed with additives, that polymerize after the building process and close the part to create the highest possible density. The unprinted powder can be completely reused. That creates further advantages compared to existing 3D printing technologies. Voronoi shape printed with AE12 Binder Jetting material. The scalability to larger machines allows, in theory, to produce parts that are a few meters big – at the moment almost impossible in any traditional production process. Parts made in AE12 won’t be used for extreme mechanical use cases, but functional end products are definitely a target application. AE12 was initially developed for Voxeljet machines, but will be useable on other Binder Jetting systems, too. Beta customers are testing the material until in mid-2017 it will be accessible to the public. Samples are available on demand via Additive Elements. The process should let to additive manufacturing take the next step into the direction of serial production. Plastic parts will be producible at a fraction of costs of the established 3D printing technologies. For a lot of industries, this is the major criteria for adapting additive manufacturing. Until market launch AE12 will be parametrized to even larger machines and different Binder Jetting systems. The ‘plug-and-play’ LEDbits Toolkit enables designers to create amazing lamps with a great and personalized user experience! Today, the concept was launched on Kickstarter after ramping up for launch for almost two years. LEDbits modules are designed to be ‘worry-free’! 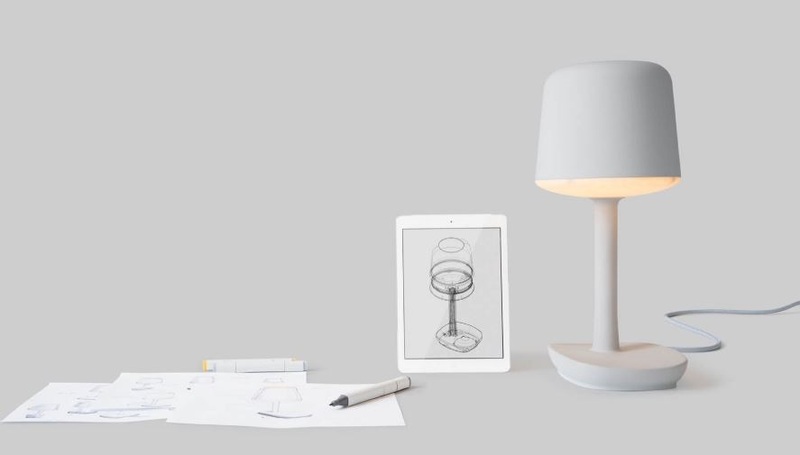 The team behind the inventive concept spent months to make the concept as simple as possible. The individual build blocks quickly and effortlessly fit together, and can be easily swapped out. 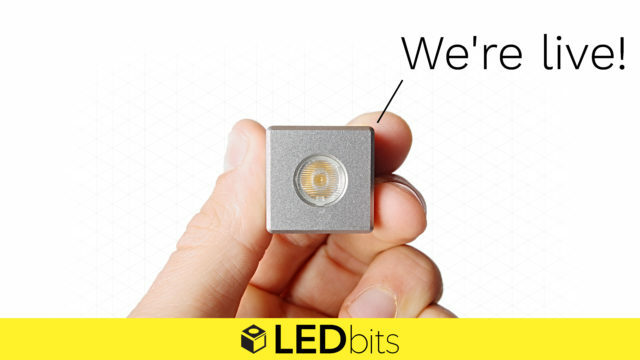 LEDbits – How does it work? Making a night light? Choose a LED module that radiates cozy warm light! Building a lamp to light your office environment? Then go for a bright white light! Or just choose the blue one, and do something different! Combine the LED module with a lens that bundles the light into a spot, or go with a diffusive effect for an even smoother light distribution. Finally, hook up a toggle switch, a rotary knob, capacitive touch or go crazy and program your own with Arduino. It is as easy as connecting one ‘plug-and-play’ LEDbits control modules. The beautiful modules seamlessly integrate in your design. Makers can experience the ease of the wide variety of fixation possibilities designed into the modules and the supplied fasteners. LEDbits comes in a variety of toolkits to make it work for every type of maker. The system was thoroughly tested by a variety of designers and makers from the local community and perfectionized for almost two years before the launch on Kickstarter earlier today. More information is also available on the LEDbits website.